Warmly celebrate the " girls front line " brand women's 2011 "Korean flow. Capital" winter conference successfully concluded! With great excitement, we have ushered in the well-prepared on August 3 at the grand opening of the Hai Yun Hotel, "Women's Front Line" brand women's 2011 Winter Order, many agents throughout the country, franchisees and all sectors Related parties gathered "girls front line" event site, feel the brand women's fashion journey together. The two-day "Korean Wave." Autumn new orders will continue the success of the previous orders will be the order of the use of scientific ordering guidance and product descriptions in the form of a combination of effectively improve the dealer's ordering efficiency. At the press conference, Chairman Chen delivered a welcome speech. 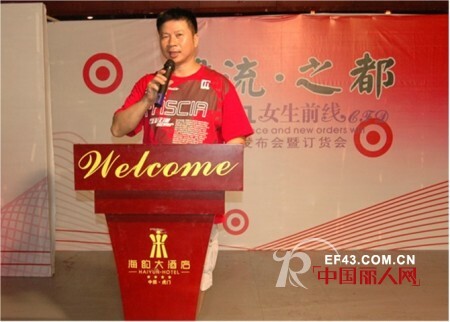 He stressed that the company will continue to focus on brand building and actively expand the high-quality development path of "women's front line" brand women's wear, improve the business pattern and enhance the competitiveness of the "girls front line" brand and consolidate Product research and development team, focusing on supporting customer service shops, women's business to seek greater development. In terms of marketing strategy, the company strongly built up a cooperation model of "joint management and profit sharing" to speed up the market penetration of the brand. 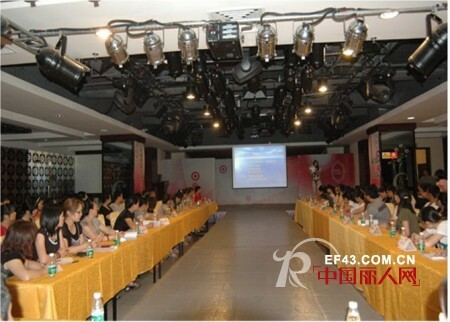 In the event there are a number of signing customers to join the "front line of girls" family, and "girls front line" work together for mutual benefits, together in the field of women's ambitious exhibition, together "the front line of girls," resulting in "domestic first-class women's brand " . The brand of women with keen fashion antennae, close to the fashion, take root in the market, with South Korea's fashion trendy, elegant and generous as the leading modern fashion and elegant career women, young and stylish pinks tailor-made Korean fashion. "Girls front line" brand will be a combination of simple modern tailoring lines and classic fashion, with a new design concept, bold and avant-garde appearance modeling, touching the unlimited tension of the fashion women's imagination. "Girls Frontline" winter new orders will continue to heat up, more dealers friends will arrive at the ordering site, to participate in this elaborate new product exhibition, "girls front" fashion Korean women all my colleagues warmly welcome the coming of all walks of life Friends, let us be "girls front line" brand achievements and beautiful future together with the congratulation, mutual encouragement! It is understood that "girls front CFD.plus" Amway fashion clothing company is one of the strong brands, the company was established in 1993, is a collection product design, product manufacturing, marketing as one of the modern clothing business. In 2000 the company launched the "girls front CFD.plus" women's brand, brings together the design elite, with keen fashion antenna, close to the fashion, take root in the market, with South Korea's fashion trendy, elegant and generous as the modern pursuit of fashion and elegant Professional women, young and stylish pinks tailored Korean style fashion. PVC Coated Fabric is made from high strength polyester material with both sides coated. In general, this fabric is used on Truck Cover, cargo cover, Boat Cover , Hay Cover , Trailer Cover, etc..
You can choose any color and max in roll size is 5m, the general weight is 200gsm to 2000gsm. According to different quality of PVC tarpaulin, lifespan is 3 to 5 years. Previous: Violet teaches you how to identify your bed.